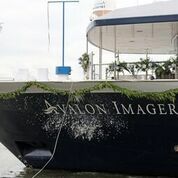 This month Avalon Waterways is celebrating the one-year anniversary of the maiden voyage of Avalon Imagery II, which also coincides with the launch of the new and exciting Avalon 2018 river cruises. 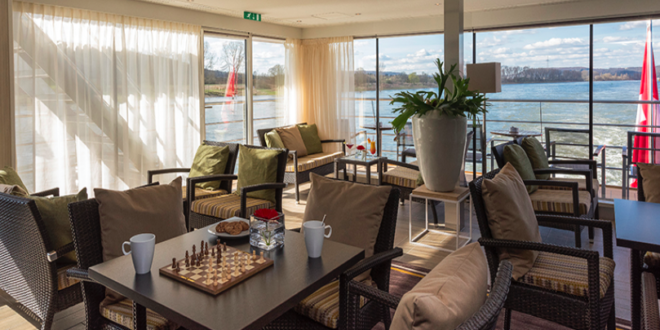 Avalon Waterways operates the most modern river cruise fleet in Europe, averaging less than three years compared to the industry average of seven. They pride themselves on delivering innovative ship designs and the highest quality of features and services. They offer floor-to-ceiling sliding glass doors, French balconies and luxurious living spaces. Plus our clever design allows room for a large private bathroom with full shower. With new Suite Ship designs, they’ve taken everything special about river cruising and made it even better – right down to the last detail. 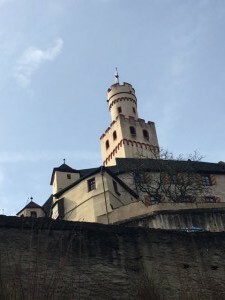 GrownUps editor Jane Matthews spent a week aboard the Avalon Waterways’ Imagery II, on its maiden voyage along the Rhine, which names New Zealand’s own Judy Bailey as a Godmother. Check out her journey below. The group of travellers who walked down the gangplank of the Imagery II today were somewhat bleary-eyed, having flown for 24 hours, with a there hour layover in Hong Kong. Thanks to partner airline Cathay Pacific, we were indulged in the lounge at Hong Kong airport. For those travelling long distances, the chance to have a proper shower and meal in the airport is life-changing, and made us a far happier bunch when we finally touched down in Frankfurt! There had been precious-little sleep for most of us, so to arrive on board and find luxurious beds waiting for us was a little slice of heaven. In these days of heightened security in airports, Frankfurt was a breath of fresh air – fast and efficient and extremely low key. 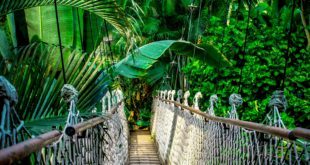 We were all astonished how quickly we were processed – in fact we actually felt trusted and welcome, which is definitely unusual in an airport nowadays! From Frankfurt, it’s just a short bus ride to Wiesbaden, where the Imagery II is docked. 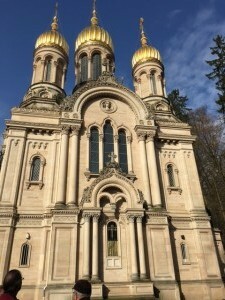 Wiesbaden is famous for its 26 spas and its Riesling, which brought joy to the whole group, as well as the architecture – Wiesbaden was relatively unaffected by the bombing in World War II, so it is an absolute delight to walk around. As the first group to set sail on this purpose built 120 metre long river cruising vessel, we were extremely excited. Many of us have never done a river cruise. The ship has that gorgeous ‘new’ smell and everything is pristine. The cabins all face the view, with sliding doors which open virtually the entire length of the room. For those who love the little details, the beds and pillows are just what any Goldilocks would adore; not too hard, to too soft – just right to relax after a long flight. We all retired for a well overdue snooze before reconvening for lunch. Advertised as a light lunch, that was an absolute understatement. 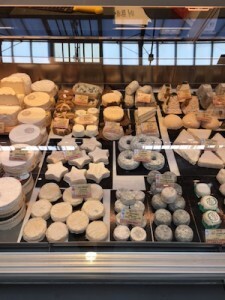 You could make your own salad, choose from vegetarian, fish or chicken options, with glorious desserts, cheese and fruit. There was also an ‘off menu’ selection, if the buffet didn’t have what you felt like (or were making the most of your holiday!) Whether you are a health nut, a foodie or simply hungry, there was something for everyone. After lunch, most of the group chose to go on a walking tour of Mainz, just across the river. 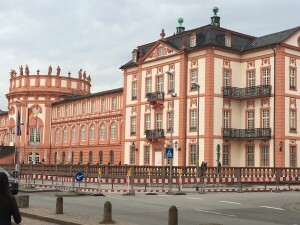 Mainz wasn’t as lucky as Wiesbaden during World War II, and suffered huge damage to its buildings, but fortunately there is plenty still standing to enjoy. With remote earpieces, you could listen to the guide’s commentary, and linger to take photos of places that caught your eye. We even managed to ride a carousel at a local market, which is open for Easter and the school holidays which follow – great for kids of any age. Dinner was rather quiet affair, as a very long day and night started to take its toll, so we all retired to bed, to recharge before the first official day aboard. The first official day on the Imagery II dawned clear and warm in Wiesbaden. After a good night’s sleep to recover from our long journey, and a fantastic breakfast (who doesn’t love a good buffet? 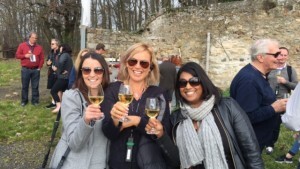 ), we had the choice of a mountain excursion with wine tasting, or a cultural and historical highlights tour. Funnily enough, nearly everyone chose the former, so off sampling the delights of the region we went! At the base of the ‘mountain’ stands the Russian Orthodox Church, which was built in memory of a Russian princess, by her infatuated husband. The ladies in the group felt that some of the lads we know need to work on their romance after seeing it! Neroburg is famous for its riesling, so we had a short walk (the mountain was more of a hill), to arrive at this very picturesque vineyard. For those who are familiar with Waiheke Island off Auckland, Neroburg reminded me a lot of Stonyridge. 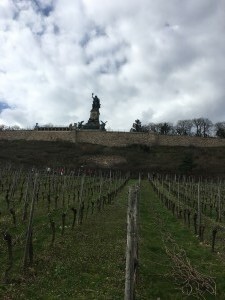 It was smaller than many vineyards in New Zealand, but the view was spectacular over Wiesbaden. If you have ever been geo-caching, the vineyard has the ultimate grown ups geocache, where they store the wine and glasses for tastings just inside the gates – genius! We all agreed this would be an excellent idea in New Zealand! Our tour guides were brilliant; really funny and informative. Rather than walking down the hill after a couple of very generous glasses of riesling for morning tea (it was only 10am), we rode down in the cable car, which is hydro powered, and has been since the 1800s. 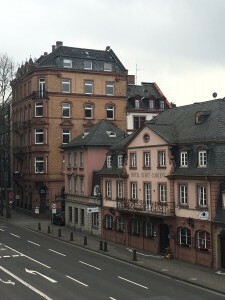 When we met back on the ship for lunch, the other group had had a fabulous time sampling mineral water and chocolate, and exploring the downtown area of Wiesbaden. Fortunately, so no one missed anything, the good people from the Wiesbaden Tourist Bureau cam on board in the afternoon and we were able to re-sample the Riesling and try the chocolates. Day One wasn’t all eating and drinking – we did complete a safety drill before dinner up on the Sky Deck. The beauty of river cruising is that sinking is highly unlikely- as the ship itself is taller than the river is deep for most of the time, and fortunately, the crew is well trained at negotiating the many bridges on the route, even though clearance is fairly tight at times (the ship is 11 metres wide and many of the bridges have a 12 metre space for them to enter). We set sail from Wiesbaden promptly at 6pm, and ate dinner as we glided along the river. There is barely any discernible movement, so there is no chance of seasickness or unsteadiness. What a magic way to travel. Dinner was a fairly quiet, but delicious affair (there will be a separate story on the food to follow), as we were all starting to fade. Tomorrow is the official christening, so lulled by the gentle murmur of the motor, off to bed it was! We woke up in Lahnstein, with a magnificent view, slightly dulled by light rain. Today, the Imagery II is officially christened. The staff and crew are going to be busy all day preparing for the festivities, so our shore excursion is a two-part, most of the day affair. 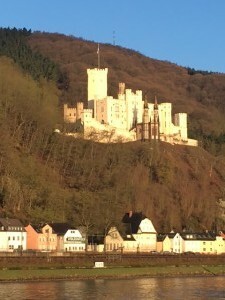 I chose to explore Marksburg Castle, which at 700 years old is one of the oldest in the region, and one of the few which has escaped damaged during the world wars, followed by a walking tour of Koblenz. Marksburg was just amazing. The views were spectacular, and the guide hit just the right register in terms of information, while letting us explore at our own pace. 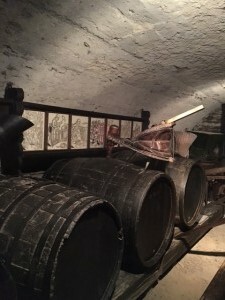 My highlights were the wine cellar, where the barrels are some 400 years old, the kitchen, with itsequipment, some of which was made by the castle’s own blacksmith, and the incredible view over the valley. We had lunch in Koblenz, which has a history dating back over 2000 years, but which sadly suffered enormous damage during World War II. 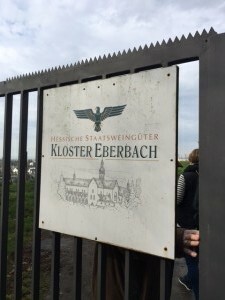 However, there is still plenty of interesting old sites to visit – we started off walking as a group, but quickly broke off into smaller groups to do our own thing, before reconvening to prepare for the christening in Engers. The crew has sailed to meet us there during the day. There was much hilarity and discussion about what would happen if the bottle didn’t break, but leave it to Judy Bailey to get it right first time – so with a rousing cheer, the ship was pronounced christened! After that, there was more champagne and a fantastic degustation-style dinner, music and dancing. We moored for the night in Engers, as the party continued. 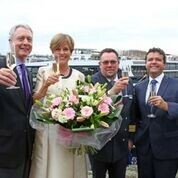 Judy Bailey is the first New Zealand godmother of an Avalon Waterways ship, and she did us proud. After a few speeches by officials, she did a beautiful blessing in Maori and English, wishing the Imagery II safe travels. By this time, quite a group of villagers had gathered, so in between showers, we disembarked for the official champagne smashing. With the ship all safely christened, it’s time to explore some more. We spent the morning under sail, which gave us all a chance to do some proper work and try some activities on board. It was bright, chilly day, so a couple of us decided to try out the spa pool on the Sky Deck, and watch the magnificent array of castles pass us by as we had a good old soak. Others played giant chess, curled up and read or just spent some time relaxing. 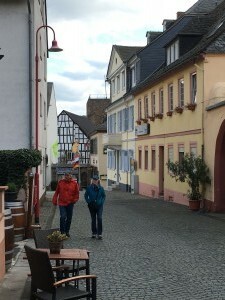 The afternoon was an active one – with a choice of bike ride or walk around Ruedesheim, which is a gorgeous little village, which looks like a gingerbread town. We are being so well fed, that it was almost hard to find room to start off with coffee and cake in a wee cafe. I took the bike option, which incorporated a visit to the 80 metre high Niederweld monument and Ehernfels Castle ruin, through a vineyard. The trip was described as moderate to strenuous, so there was much debate about what that meant. In our experience so far, moderate was a doddle, barely raising the heart rate, so we figured it would be fine. As it turns out, the ride was up a very steep hill (it’s funny how a few days ago a small rise was considered a mountain in Wiesbaden, while here a hill looked pretty daunting! ), but as always, those in charge of planning were one jump ahead, booking e-bikes. This was a first for me, but an e-bike is just brilliant, you can choose your level of assistance, and it gives you the extra oomph required to make steep hills a breeze, even though you can still feel your legs working. The ride was simply stunning, and from such a high point, it was interesting to see the Rhine and Moselle rivers meet, with their vastly different colours blending, along with a breathtaking view over the entire region. 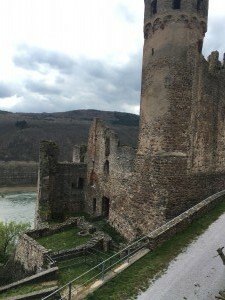 Ordinarily, we may have been able to explore the ruins a little, but the site is currently off limits as a pair of falcons have chosen the castle as a nesting site, so they are to be left in peace. Moving on, with flushed cheeks now, we went through some woods and found a group of people hugging the trees – not something you see every day! Down in the village, we stopped for a cleansing ale and to do a bit of shopping. By now, the temperature was plummeting, so back to the Imagery II it was, for karaoke, board games and dinner. All in all, today was the best so far! Today we are in France, visiting the city of Strasbourg. It’s another afternoon excursion. 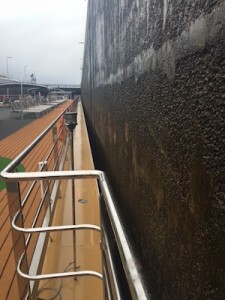 On the way, we got to experience the navigation of a loch, which is a marvel of engineering, constructed to allow large vessels to navigate sections of river or canal that would otherwise be too dangerous. The Imagery II is 11 metres wide, and the clearance in the loch is very tight. First, we sailed in, then waited while the gate closed, and the loch filled with water, raising the ship up some 5 metres, to match the water level of the river. After about 10 minutes, once the desired level was reached, the other gate opened and we sailed through. Otherwise, it would have been a matter of sailing the wrong way through a waterfall! It was fascinating to watch. 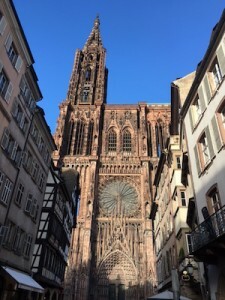 Strasbourg is one of the only ports along this route where the port isn’t right in the city, so we took a short bus ride. It was interesting to spend a few minutes in ‘no man’s land’ as we travelled between Germany and France – it seemed too easy to change countries – not a passport or sniffer dog in sight! 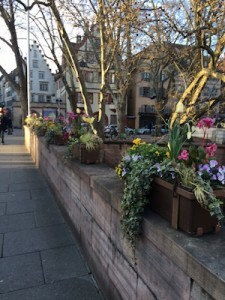 The history of Strasbourg is mind boggling, even by European standards. We boarded a glass canal boat, as listened as our guide talked us through the details. As a city in Alsalce, it has changed nationality several times between France and Germany – some citizens have been both French and Geman four or five times in their lives! That means there is a strong blend of German and French architecture and influence. We learned that tanner’s houses were easy to spot by their open sections, just beneath the eaves, so that the newly cured leather could dry naturally. They were also painted white, where homes built of butchers were red and fishermen lived in yellow homes. The city is home to some 80 churches, the largest and most imposing of which is the cathedral. Built over nearly 300 years, it is breathtaking, inside and out. Actually, as I walked in, it completely took my breath away, and my eyes filled with tears. (They asked us not to take photographs). It was simply magnificent, and I was struck by the incredible pride and detail that all the people involved in its construction took. With so little technology available to them, they created a masterpiece. We had plenty of time to explore for ourselves, before meeting for an aperitif in a traditional French brasserie. 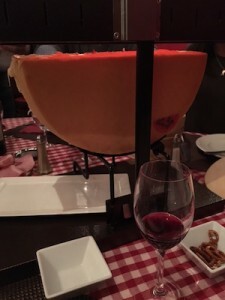 We decided to stay in Strasbourg for dinner, and found a cafe serving the traditionally French dish, raclette. Holy moly. The enormous wheel of cheese toasts under a purpose built grille, and you scrape off bubbling melted choose onto your plate, before returning it to the grill for more toasting. Raclette is shared, and served with baby potatoes, salad and red wine. I’m not sure it qualifies as ‘health food,’ but it is just divine! We woke up in Breisach. Today is the last day on board the Imagery II (nooooo! ), and we are off early to Colmar, which is a small town, with strong French, German and Swiss influences. We have been so fortunate to explore such beautiful little towns, off the beaten track, and Colmar is no exception. The markets in the area are world famous, particularly at Christmas, but we are lucky enough to visit while the Easter markets are still on. 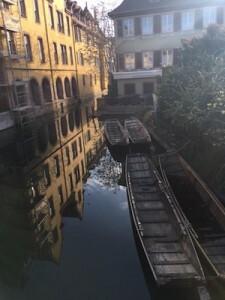 It’s easy to walk around the town (but the cobblestoned streets mean comfortable flat shoes are a must), so we started with the guide, then several small groups branched off to spend more time at the markets. 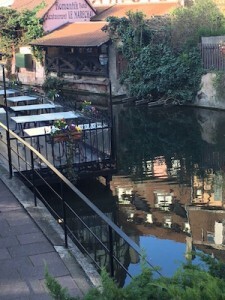 Colmar is home to “Little Venice,” a very old suburb, build around small canals, rich in history. Here it is not permitted to paint your house the same colour as that of your neighbour, which makes for vibrant surroundings. All these homes are many hundreds of years old, and there are strict guidelines for their upkeep. 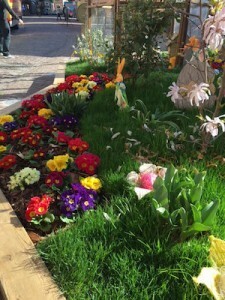 But back to the markets – they were so quaint, selling mostly food and small arts and crafts. The vendors were extremely friendly and happy to hand out little samples – I am going to roll home! 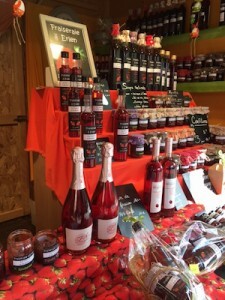 The selection was quite mind boggling, including a strawberry stall, selling not only jam and cordial, but three different styles of strawberry wine – fortified, sparkling and still. In the interests of “research,” I tried them – they contain no grapes and were delicious, albeit rather sweet. The vendor said the sparkling and still were best served before lunch, so we were right on time! 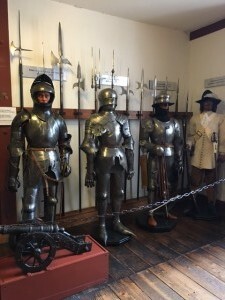 For the afternoon, some of the group went cycling, some went to visit an agricultural museum, and some of us stayed behin d to have a look around Breisach. This ended in a spontaneous board of bread, cheese and drinks in a wee cafe high above the town, near the church. It was wonderful to sit and reflect on the week with new friends and marvel in what we had all experienced. None of us had been on a river cruise before, but we would all do it again in a heart beat. Everything was so incredibly well organised, we could simply choose what kind of fun we felt like for the day and go for it. The food was utterly magnificent and plentiful, and the atmosphere aboard was amazing – the staff were so attentive and accommodating, the boat and cabins were luxurious and spacious and no detail had been overlooked. We returned to the Imagery II, for a fine dining meal with a wine master, who had brought wines to match the menu (and yes, the frog’s legs were delectable! ), and a quick pack before our early departure in the morning. What a terrific experience. Don’t miss the opportunity to go river cruising if you can. See here for more details. Next Article What is Parkinson’s disease? Looking forward to reading more. I cruised with Avalon Waterways from Prague to Budapest and can highly recommend this and other arms of Globus.